If approved, the total amount earmarked for recovery projects would reach $832 million. BP has created the fund as a down payment for early restoration projects. 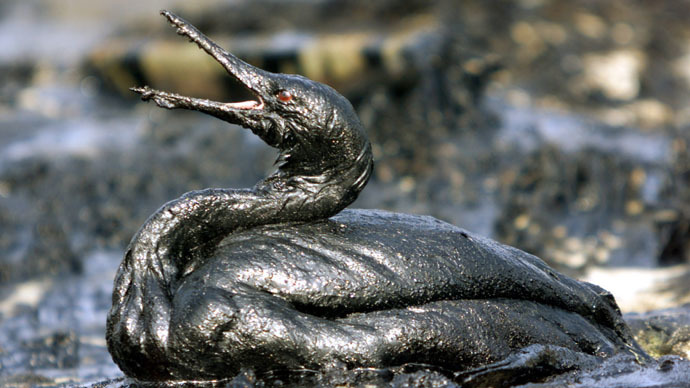 The company is expected to eventually pay more than $13 billion in penalties for the 2010 disaster that spilled around 130 million gallons of crude oil into the Gulf, devastating the local economy and wildlife. The biggest project announced on Monday, the fifth anniversary of the explosion aboard the Deepwater Horizon oil rig, sets aside $45 million towards a 10-year study and restoration effort. This is aimed at supporting sea turtles along the shores of Texas and Mexico, including the Padre Island National Seashore. Another $40 million is to be spent on restoring “living shorelines” in Alabama ($10 million) and Mississippi ($30 million), building breakwaters and reefs to protect marshlands and provide habitats for birds and fish. Texas is proposing a $20.6 million project to create habitats for waterfowl such as pelicans, gulls and herons on four islands off the state’s coast. Long-line fishermen will be paid $20 million to avoid catching Atlantic bluefin tuna, a species already threatened by overfishing. The April 2010 disaster hit at the peak of the bluefin’s breeding season and ravaged one of its spawning grounds in the Gulf, reducing the number of newly hatched fish by over 20 percent. The oyster population in the waters off Louisiana has been slow to recover as well. Oystermen say their yields have dropped by 60 percent or more in the past five years. The newly announced restoration projects represent a drop in the ocean next to the $28 billion BP has already spent on spill response, cleanup and claims, and up to $13.7 billion in penalties still being mulled by federal courts. In January, a federal judge ruled the company had been merely “negligent” rather than “grossly negligent” in its cleanup efforts. This means BP could only be fined $1,100 per barrel spilled, instead of $4,300 per barrel under a “gross negligence” ruling. Deepwater Horizon was pumping oil out of BP’s Macondo well, over a mile below the surface and 50 miles off the coast of Louisiana. The 2010 explosion onboard killed 11 people, and spilled between 3.19 million to 4.9 million barrels of crude oil into the Gulf of Mexico over a period of three months.